Figure 22. 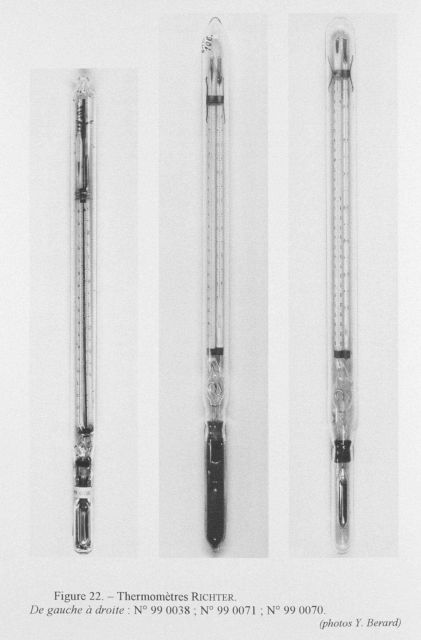 Richter thermometer constructed by the German instrument maker Carl Richter following the suggestions of Fridtjof Nansen. Two of these were received in March 1901 and sent to Roald Amundsen for testing in Arctic waters. Although not a revolutionary design, this instrument had many improvements that were followed for tens of years.